Can you ask the store if they could stock the double cream year round? What do you usually use it for? Totally understand where you're coming from. Used to live in France, where I was driven to apoplexy by their ignorance of 'real' cream. 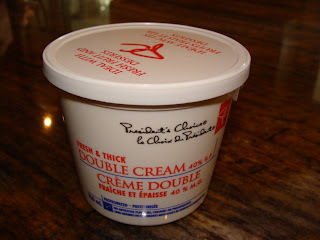 Creme fraîche simply doesn't do it when what you want is gorgeous, unsoured, greasy, cholesterol-busting double cream. Shirley - I don't use it very much at all - high days and holidays only, really. 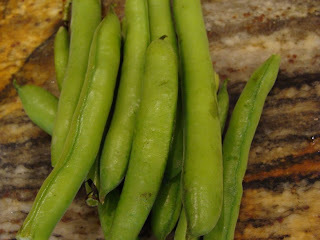 Maybe with scones and jam as a special treat or as an ingredient in a rich sauce or pie. It was more the fact that I knew I couldn't get hold of any that was frustrating! Soilman - I'm horrified that there are double cream availability issues in France, too. I would have thought that they were more enlightened and there must be hundreds of classic French dishes that use cream! Crème brûlée, pommes dauphinoise, profiteroles... Mmm, I think I'd better stop there before I decide I need to buy up the shop's whole supply and make them all.